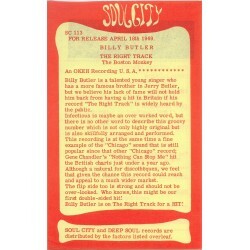 Set of four flyers; three promoting Soul City releases by Billy Butler, Chris Jackson & The Packers and the fourth announcing the forthcoming intitial release on the Deep Soul Label. 13cm x 20cm approx. Excellent condition. 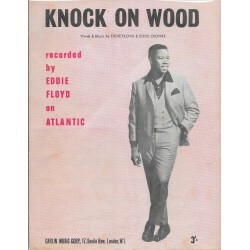 Issued to accompany the Atlantic release. VG+ condition - has some creasing and marks. 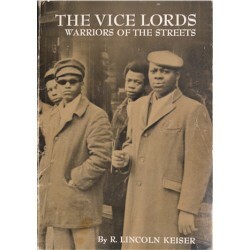 'Warriors of The Streets'. R. Lincoln Keiser. Holt Rinehart Winston Paperback. 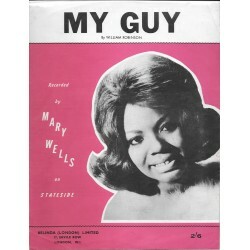 1969 Academic case study dealing with a Chicago Street Gang. VG Con. James & Bobby Purify. 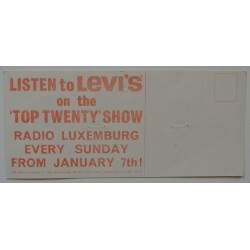 Juke Box Insert Labels. 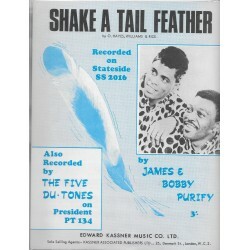 'I'm your Pupett' c/w 'So Many Reasons' amd 'Shake a Tail Feather' c/w 'Goodness Gracious'. Good Condition. 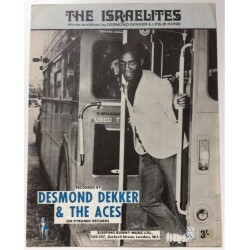 To tie in with the launch of Hitsville! 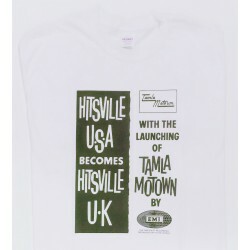 The Birth of Tamla Motown - our exclusive Hitsville t-shirts are available in Small, Medium, Large and Extra-Large sizes. For ordering size options, please click on item, select size from Pull Down menu, then add to basket and checkout. 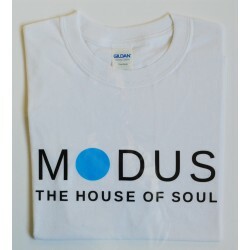 'Modus - The House of Soul' Cotton T-Shirt. Exclusive 'Modus - The House of Soul' All Cotton T-Shirt. 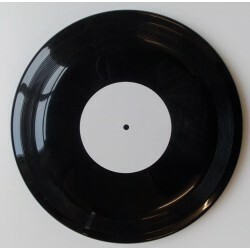 Emblazoned with the 'Modus The House of Soul' Logo in Two colours. Available in Small, Medium, Large and Extra Large. For ordering size options, please click on item, select size from Pull Down menu, then add to basket and checkout. 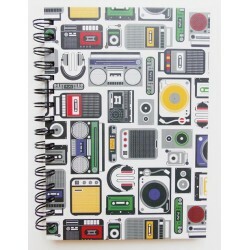 A5 Note Book, Hard covers decorated with images of Hi-Fi, Boom Boxes, Record Decks, Cassette Decks etc.. Spiral Bound.